Tintswalo Lapalala in the Waterberg has joined forces with the Endangered Wildlife Trust (EWT) in a conservation project to monitor and protect the last free-roaming pack of African wild dogs (Lycaon pictus) in South Africa. 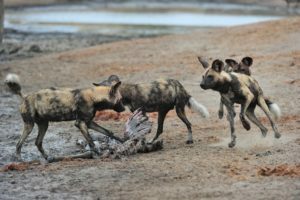 Groups of four guests have the unique opportunity to participate in a once-in-a-lifetime experience to join rangers on a conservation journey to track and collar wild dog during a 3-night stay at the newly launched family lodge. The cost of R99 500 for four people covers the costs of the veterinarian and the rangers and includes the sponsorship of the monitoring collar, as well as luxury accommodation and full board for four people for three nights. Wild dog is South Africa’s most efficient predators, but also its most endangered large carnivore. It is estimated that there are only between 3000 and 5000 individuals left in sub-Saharan Africa. This large pack of about 19 wild dogs, which has been recorded moving through farms, towns and various reserves as far north as Botswana, usually spend most of their time outside of protected areas which makes them susceptible to human conflict. In support of the Endangered Wildlife Trust Waterberg Wild Dogs Conservation Project, Tintswalo Lapalala has sponsored a GPS satellite collar to the value of R30 000 that enables researchers to monitor the movement of the pack and to keep them safe. Valuable data is being collected and scientists are able to pass information onto farmers to protect livestock that may be vulnerable to wild dog hunts, simultaneously protecting and ensuring the sustainability of this free-range pack of ‘painted wolves’. 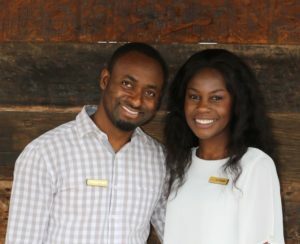 Mhondoro Safari Lodge & Villa has appointed Eric and Caroline Murahwa as Deputy GM couple. The Murahwas are International Hotel School graduates who bring with them extensive hospitality and managerial experience, gained at various 5-star luxury properties. These include premier Kwa-Zulu Natal hotels Karkloof Safari Spa, Hotel Izulu and Leading Hotels of the World properties The Oyster Box Hotel and Thanda Safari Private Game Reserve, as well as DeHoek Country Hotel in the Magaliesburg. Caroline Murahwa (29) was born in Zimbabwe and trained at the International Hotel School Durban. She started her career at Karkloof Safari Spa where she worked as a Reservationist and Reception Supervisor. Her career then took her to The Oyster Box Hotel where she was employed in the Guest Liaison department. She then accepted the position as Executive Assistant to the CEO and Marketing Assistant at a financial services company, before returning to the hospitality industry at Thanda Private Game Reserve where she first worked as Front Office Manager, and then taking up the joint position of Assistant Lodge Manager. Zimbabwean born Eric Murahwa (34) graduated in Hospitality Management from the International Hotel School Durban, before starting his career as Trainee Food & Beverage Manager at the Ilala Lodge Hotel in Victoria Falls. He relocated to South Africa and started his career at Hotel Izulu as a Receptionist, before he was promoted to Duty Manager. To gain further experience he then took up a position at The Oyster Box Hotel, first as Front Office Shift Leader and Front Office Supervisor. This was followed by a stint as Customer Relations Manager and Operations Manager at a sports gear company. Returning to his passion for the luxury travel industry he was appointed by Thanda Safari Private Game Reserve as Relief Lodge Manager and Rooms Division Manager, before he was employed as Hotel Operations Manager and Assistant GM at DeHoek Country Hotel. 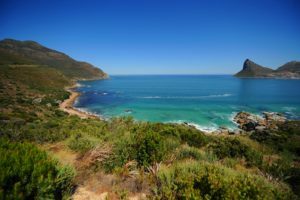 Tintswalo Atlantic will re-open for business no later than 1 October 2019, following the devastating fire of 5 February 2019, which destroyed half of the luxury resort on Chapman’s Peak in Cape Town. The owner and Tintswalo Lodges CEO Lisa Goosen says that the site clearing has started, and construction is expected to commence in March. Caused by kitchen equipment failure, the fire wiped out the main lodge bar, kitchen, dining room and lounge areas, as well as one of the 11 guest suites. All guests and staff were safely evacuated after the early-alert fire system was activated and staff on duty fought the fire in the early hours of the morning while the emergency services were called in. The fire department arrived shortly after and with the help of a firefighting helicopter, managed to contain the fire within a few hours. Located in the Hemel-en-Aarde valley outside Hermanus, Bouchard Finlayson is known not only for its award-winning wines, but also for its focus on conservation and sustainability as a WWF (World Wide Fund for Nature) Conservation Champion. 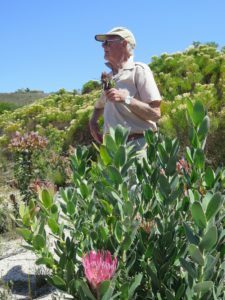 In the interest of biodiversity, the boutique winery has only 25 hectares planted with vineyard, while 100 hectares remain as natural, protected fynbos that includes more than 330 plant species. Guests may book Guided Nature Walks to experience the natural beauty of the estate and to learn more about the rich Cape Floral Kingdom. The Guided Walking Trails are available throughout the year but are most popular during the Spring months when the wild flowers are in bloom after the winter rains. Expertly guided by Frank Woodvine, Bouchard Finlayson’s resident amateur botanist, a choice of three different Walking Trails are offered, ranging from 45 minutes to two and a half hours. Guided walks are subject to availability and require booking at least seven days in advance. The nature trails are also available to hikers to use (free of charge), after they have collected maps and signed indemnity forms at the cellar door. Back at the cellar door current vintages are available for tasting, while Peter Finlayson’s ‘Peter’s Picks’ of older vintages are on display and available for sale in the Collectors’ Corner. Delicious Deli Platters can be pre-ordered to be enjoyed on the terrace overlooking the vineyards, or in the cellar next to a crackling fire in winter. Snack boxes are available for children, with colouring-in pages and wax crayons to keep them occupied. There are rolling lawns to run around and kick a ball, while the fountain in the courtyard with koi carp fish is guaranteed to entertain the little ones for hours on end. Visitors to the estate qualify for a complimentary wine tasting of three wines when using the new WWF Champion Wine Farm Guide App that features Bouchard Finlayson alongside other environmental leaders in the wine industry. The App is aimed at wine lovers, locals and tourists who are encouraged to use the guide that recognises wineries for their commitment to conservation, responsible production practices, integrated environmental management systems, and spearheading innovations in water, energy efficiency and climate adaptation. Tintswalo Lapalala has opened in the malaria-free Waterberg (Limpopo province). Located 300km from Johannesburg (or 30 minutes’ flying), it is one of only two commercial lodges within 44 500 hectares (108 000 acre) of untouched wilderness and is one of the largest private reserves in South Africa. Tintswalo Lapalala is environmentally conscious and operated entirely off the grid. Raised above the surrounding bushveld on wooden decks, the tented rooms are connected via elevated walkways, presenting a sustainable wilderness and safari experience in the lap of luxury. The family-friendly lodge can accommodate a total of 16 adults and four children and comprises of seven luxury tented suites with private plunge pools, fireplaces and en-suite bathrooms, some with outdoor baths and showers. The accommodation also includes a luxury unit of two suites for friends and family travelling together, as well as two individual family tented suites, each with an adjacent bedroom for two children. Paying homage to Africa’s indigenous tribes and the preservation of their cultures, the suites are decorated accordingly and named after some of the continent’s most prominent tribes, ranging from South Africa’s Xhosa, Zulu and Venda, to Himba, Maasai, Tuareg and Turkana. The Lapalala Reserve forms part of the UNESCO-declared Waterberg Biosphere Reserve and was founded in 1981 by conservation champions, Dale Parker and Clive Walker. It is recognised as a champion of sustainable wildlife conservation with the vision to leave a legacy for generations to come. Boasting classic savannah biomes, Tintswalo Lapalala offers low impact game viewing with daily game drives and guided bush walks. However, the sheer expanse of the vast, game-rich reserve offers seclusion and a multitude of unique wilderness experiences far beyond the chase of the Big 5. These include guided walks to rock art and iron age sites and visits to the famous community based Lapalala Wilderness School and the endangered wildlife breeding programme, which include species such as sable and roan antelope. Tintswalo Lapalala is child-friendly and days are filled with activities for families with children of all ages, including a dedicated Children’s Activity Programme. With 27km of pristine river frontage throughout the reserve, the Palala River presents guests with the unique opportunity to fish the crystalline mountain waters or swim in the bubbling rapids. Other relaxing pursuits include sundowner cruises and riverside picnics, birdwatching and stargazing, or pampering spa treatments. Mouth-watering, wholesome cuisine is served al fresco on poolside verandas overlooking the waterhole, or at various secret locations within the reserve, and on balmy evenings around a blazing firepit beneath the Milky Way. 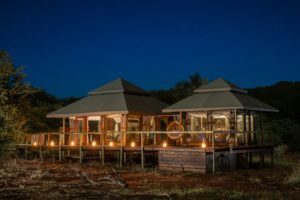 Those with an adventurous spirit have the option to upgrade their luxury tent to a romantic sleep-out experience under the African skies to spend the night close to nature on a comfortably furnished, raised wooden platform out in the reserve. With little more than candlelight and the sounds of nature all around, this is an unforgettable primal experience, bringing luxury as close to nature as can be imagined. Visit Tintswalo at Boulders Boutique Villa and have some Fun in the Sun with the Penguins ! Tintswalo Lodges has expanded its portfolio of luxury lodges and boutique hotels that are all set in iconic locations, with the opening of Tintswalo at Boulders Boutique Villa in Simon’s Town (Cape Town). 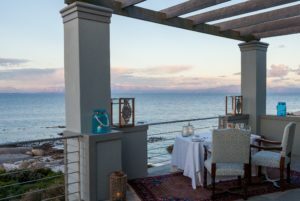 With direct access to Boulders Beach and its world-famous resident colony of endangered African penguins, Tintswalo at Boulders operates on a bed and breakfast basis with nine double suites, as well as a children’s suite. Airport transfers, complimentary Wifi, full breakfast and afternoon canapes are included and a private chef is available on request to prepare other meals. A concierge service is offered for bookings of restaurants, snorkelling safaris and guided sea kayaking excursions. Alternatively, Tintswalo at Boulders may also be booked on an exclusive-use basis for families and friends travelling together, either as a private villa of five suites and a children’s room, or the entire villa sleeping 18 adults and two children (minimum stay of 3 nights required for exclusive-use bookings). On route to Cape Point, Boulders Beach is known for its pristine swimming beaches where the penguins are the star attraction. 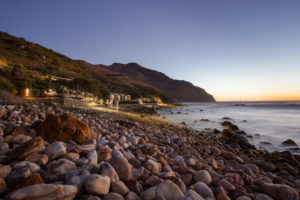 Surrounded by fynbos, Tintswalo at Boulders boasts a unique North-facing, beachfront location that offers endless ocean views. Spacious living areas lead to a terrace with a sea view pool. The luxurious suites have en-suite bathrooms and are individually decorated, some with private balconies. Paying homage to maritime history and the villa’s location in Simon’s Town, the rooms are named after famous ships, ranging from the Mayflower and the Cutty Sark, to Jan van Riebeeck’s Drommedaris. 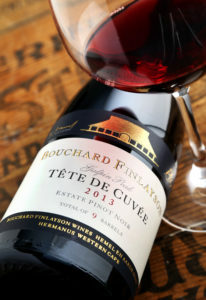 The 2013 vintage of Bouchard Finlayson’s iconic Tête de Cuvée Galpin Peak Pinot Noir has scored a gold medal in the Six Nations Wine Challenge 2018, in a prestigious line-up of the best ‘New World Wines’. The Six Nations Wine Challenge is a unique benchmark in excellence for the six competing nations and promotes the outstanding quality, diversity and richness of wines produced in Australia, New Zealand, Chile, Canada, the USA and South Africa. With Michael Fridjhon from South Africa as Chairman of Judges, fellow judges from each competing country – Huon Hooke (Australia), Bob Campbell MW (New Zealand), Eduardo Brethauer (Chile), Patrick Comiskey (USA) and Christopher Waters (Canada), chose their best local wines to compete in a giant blind tasting of 600 wines. Each judge selected 100 wines across the 16 classes with a maximum of ten in any one class, to determine the best in their country, regardless of company size or quantity available. Tintswalo Atlantic has announced its year-end packages which include corporate events for groups of up to 40 guests. Corporates are invited to end their year on a high note with an unforgettable lunch that includes canapes and a delectable 4-course menu (R750 per person, excluding drinks and 10% service charge). The breathtaking seaside venue is also available for exclusive takeovers, awards presentation ceremonies and glamorous evening events. There is an option of booking overnight accommodation in 12 luxury suites to provide executives with the ultimate end-of-the-year thank-you-treat. With the holiday season fast approaching, Tintswalo Atlantic is taking advance bookings from a limited number of non-resident guests for Christmas Eve Dinner and its legendary New Year’s Eve Celebration. Celebrate Christmas Eve on the ocean’s edge in true Tintswalo Atlantic style with dinner under the crystal sky. The special event kicks off at sunset with starters and cocktails followed by an extravagant beachside Christmas harvest table, plated dessert and nightcaps. Dress code is smart casual and the cost of R1110 per person includes entertainment by a live band. New Year’s Eve in Cape Town is the highlight of the holiday season and there is no better spot to watch the sun set on 2018 and toast 2019 than Tintswalo Atlantic. Bid farewell to 2018 with flair and indulge in a decadent dinner with a live band and DJ and a countdown to remember. Tintswalo’s New Year’s Dinner Celebration includes canapes & cocktails, followed by main course and a dessert bar, as well as a late night feast leading to the all-important countdown celebrated with bubbles, cocktails and a gin bar. Themed ‘Truly Cape Town’, dress is smart casual and reservations are available at R2470 per person. In preparation for the warmer months, Bouchard Finlayson has released the 2018 vintage of its popular Walker Bay Sauvignon Blanc as the perfect pairing with light, summer dishes such as white fish, sushi, green salads, calamari and prawns.